When Lee Smith posted his availability for a print sales position on LinkedIn, he wasn’t expecting to be running a completely new digital print department less than a fortnight later, but such is the pace of change at Basildon-based Fraser Display, that things move very quickly indeed! The company, whose workshop is choc-o-bloc with point of sale displays packed ready for despatch to a variety of blue chip brands has as its motto: “Yes is the answer, now what’s the question?” and, according to Lee, responds to requests from its clients that other suppliers would dismiss as ‘crazy’, as they frequently involve all-night marathons in order to deliver high volumes of output in ultra quick turnaround times. But not surprisingly, the company sees customers returning again and again. 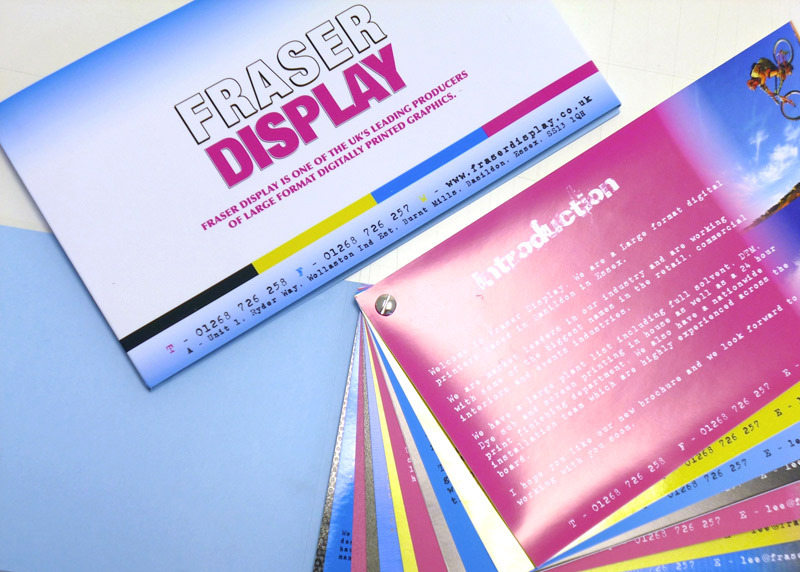 Recently however, Fraser Display’s investment in a Mimaki JV33-160 printer and a complementary CG-160FXII cutter has added a whole new dimension to its capabilities. Lee’s initial role was to sell printed output, but he quickly became aware that buying in the work was costing the company dearly, and upon his recommendation Fraser Display acquired the Mimaki printer and cutter duo from Granthams, whose high level of service is only matched by its longevity. 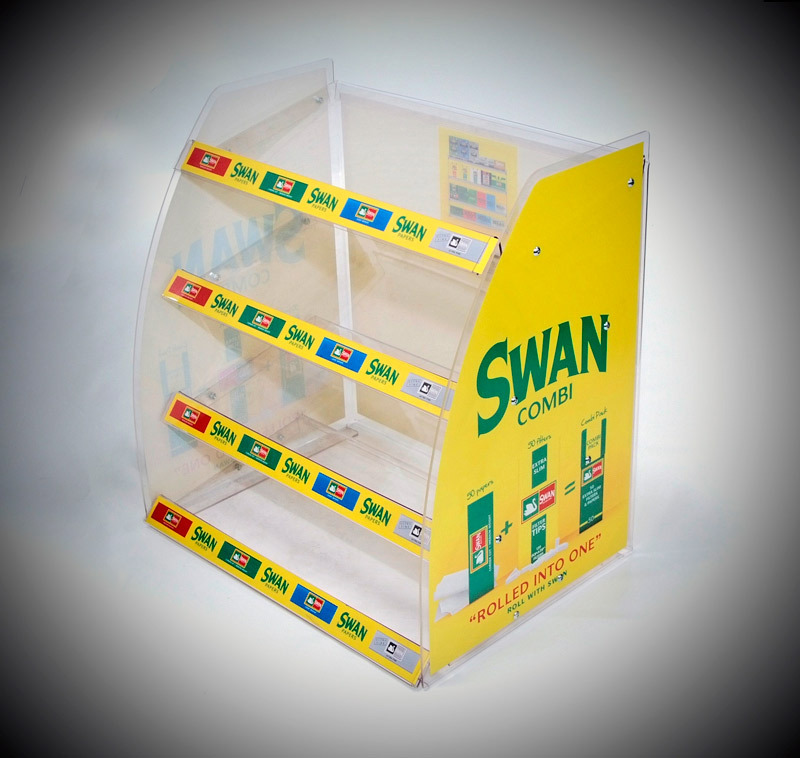 Having established its reputation for supplying a broad range of retail point of sale systems, bespoke branded display units and even exhibition stands, Fraser Display now has the capabilities required to exploit every facet of graphic production and is producing everything from banner stands to wallpaper, vehicle liveries to posters, all courtesy of the JV33, which has also been used to deliver its new corporate brochure, something Smith is justifiably proud of. 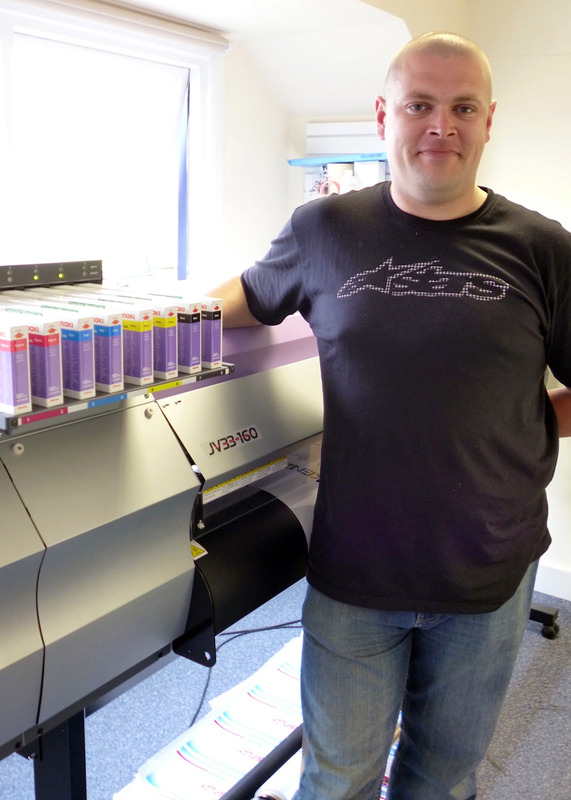 With a new website, an enviable contact list of FMCG brands and agencies, plus a strong combination of in-house skills and equipment, it’s not surprising that the phones keep ringing, so much so, that Lee believes that the company will soon need to further increase its digital print capacity. And when that time comes, it will know precisely what it must do! For further information on Fraser Display visit: www.fraserdigital.co.uk. For further information on the complete Mimaki range visit: www.hybridservices.co.uk.